training is out of the picture. I’m doing my cardio on a VersaClimber, which at least works my legs fairly well. Would the rapid fat loss protocol work OK under these conditions? It sounds as though to try it I would need to put in more time on the climber and skip the intervals for the duration. Answer: The short answer is that, at your current body fat percentage, yes, the Rapid Fat Loss Handbook program can be done without weight training. This is an issue that I discuss in the book as well as in the article Initial Body Fat and Body Composition Changes but, simply, the higher your initial body fat percentage, the less muscle you are likely to lose under any circumstances (and by extension the leaner you are the more muscle you tend to lose, although this depends on a host of variables). The primary function of resistance training on any diet is to maintain muscle mass (as discussed in Weight Training for Fat Loss Part 1 and Weight Training for Fat Loss Part 2) but when the risk of muscle mass loss is reduced, the importance of weight training is lessened. 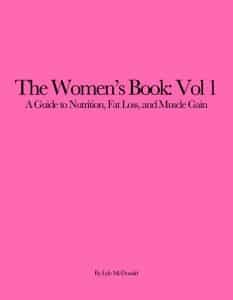 An additional factor, also discussed in the book is that there is often an increase in lean body mass (and this represents both muscle mass and connective tissue) when people gain body fat. From the standpoint of obtaining a ‘normal’ body weight (whatever ‘normal’ means here) losing that ‘extra’ LBM is thought to be beneficial or necessary by some obesity experts. Finally, at least in relative beginners, even cardiovascular exercise (and the Versaclimber is one of the rare machines that has both an upper and lower body component) has some effect on sparing muscle mass loss. So the inclusion of that (although with volumes cut back to match the recommendations in the book) should be sufficient until you abdominal issue has healed and you can begin resistance training.